The Wars of the Roses, which tore apart the ruling Plantagenet family in fifteenth-century England, was truly a domestic drama, as fraught and intimate as any family feud before or since. But as acclaimed historian Sarah Gristwood reveals, while the events of this turbulent time are usually described in terms of the men who fought and died seeking the throne, a handful of powerful women would prove just as decisive as their kinfolks' clashing armies. 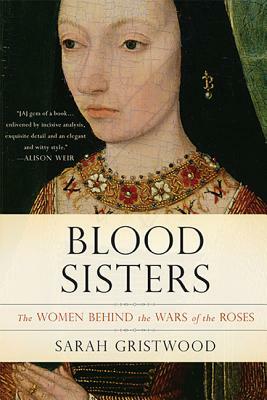 A richly drawn, absorbing epic, Blood Sisters reveals how women helped to end the Wars of the Roses, paving the way for the Tudor age--and the creation of modern England. Biographer and journalist Sarah Gristwood attended Oxford University and is the author of seven books, including the best-selling Arbella and Elizabeth and Leicester. She lives in London and Kent.